Snapdeal has had an eventful year. It has been growing at a frenetic pace, raising its headcount by 5 times and building a swanky new office in Gurgaon to accommodate all its new employees . Its valuation has increased from $2 billion to a cool $4.7 billion. But worryingly, the company has also seen a corresponding increase in its losses – Snapdeal incurred a loss of Rs. 1350 crore this year, a five fold increase over its loss of Rs. 264 crore last year. These losses can be attributed to some high spends this year, which included hefty discounts on its products, and some expensive acquisitions, which included the $400m acquisition of Freecharge. It is not uncommon for players in the ecommerce industry to post losses. Flipkart had losses of Rs. 400 crore in 2014, in comparison to Snapdeal’s Rs. 264 crore in the same period. Amazon India had posted a loss of 321 crore in the same year. These numbers have, however, not deterred investors from pumping in more money into these ventures. Last month, Flipkart raised $700 million from Steadview Capital, taking up its valuation to a staggering $15 billion. 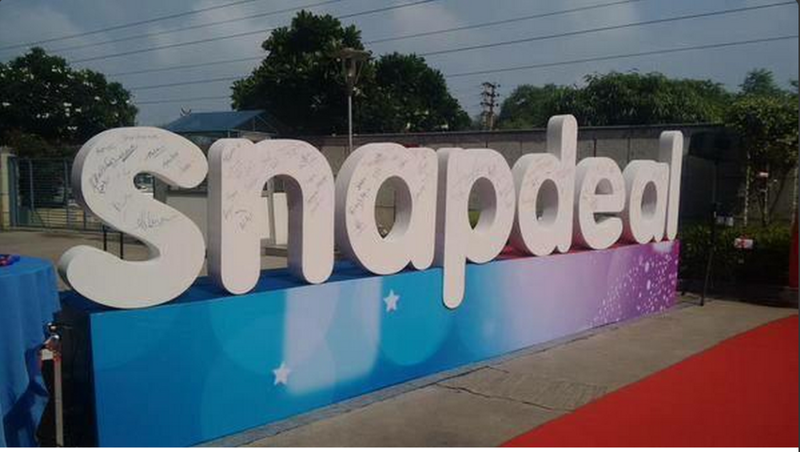 Earlier this month, Snapdeal had raised $500 million from Alibaba. Amazon had also announced a $2 billion warchest for its India operations.